Big Nose Freaks Out is a platform game for the NES, produced by Codemasters and published by Camerica. Like many Codemasters NES titles, the game was also released for the Aladdin Deck Enhancer. The player controls a cave man character who has had all his bones stolen from a prehistoric bank by a dinosaur. Bignose sets off on an adventure through numerous prehistoric settings. Bignose defeats enemies using a club, however he also has access to a primitive skate board device (stone-boarding), via his invention - the wheel. The game is essentially a platform game in which the player collects bones and other items, while travelling from left to right until reaching the goal. Big Nose Freaks Out also had a two player mode, and the addition of numerous secret levels and bonuses. Big Nose Freaks Out has become popular as more people have access to the ROM file through emulation websites. Big Nose the Caveman is a NES game released in 1991 by Camerica. It is a side scroller. In 1993-94, work was done on a port for the Sega Master System, but it was never released commercially, although a prototype version exists (with the title Dinobasher: Starring Bignose the Caveman). Bill & Ted's Excellent Video Game Adventure is an action-adventure video game that is part of the Bill & Ted franchise and is based on the film Bill & Ted's Excellent Adventure which was released in North America by LJN for the Nintendo Entertainment System in 1991. The game's plot is not an adaptation of the movie, but rather serves as an original continuation to the film's events. Bio Miracle Bokutte Upa (バイオミラクル　ぼくってウパ, Baio Mirakuru - Bokutte Upa, lit. "Bio Miracle - I'm Upa") is a Konami video game that was first released for a Japan-exclusive market in 1988 for the Family Computer Disk System. It was later released as a cartridge in 1993 for the Family Computer itself. It was released on for the Wii's Virtual Console in Japan on June 3, 2008, in North America on June 9, 2008, and in Europe on August 29, 2008. It was released for the Nintendo 3DS's Virtual Console in Japan on February 19, 2014, it is also for the Wii U's Virtual Console in Japan on July 15, 2015. The Wii Virtual Console release was the only official release of the game outside of Japan. 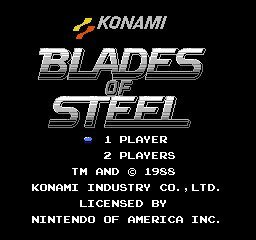 Blades of Steel, later released in Japan as Konamic Ice Hockey (コナミック アイスホッケー, Konamikku Aisu Hokkē? 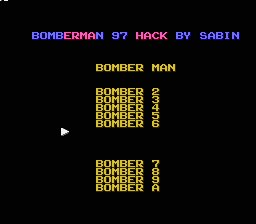 ), is an ice hockey video game released by Konami for North American arcades in 1987, and ported to the Family Computer Disk System and Nintendo Entertainment System in 1988. All teams are fictional but based out of real Canadian and American cities. The game is known for its fast paced hockey action and especially for the fighting. It is a one or two player game. When playing against the computer, there are three difficulty levels to choose from: Junior, College, and Pro (with Pro being the most difficult and Junior being the easiest). Each team consists of three forwards, two defencemen, and a goaltender. 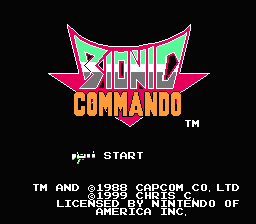 The NES version was re-released on Nintendo's Virtual Console service on December 24, 2007. The arcade version was re-released on Microsoft's Game Room service on November 24, 2010. 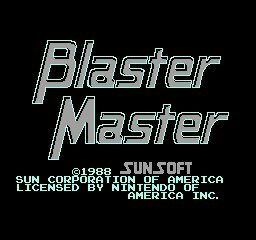 Blaster Master is a platforming and run and gun video game released by Sunsoft for the Nintendo Entertainment System. It is a localized version of a Japanese Famicom game titled Chô Wakusei Senki Metafight (超惑星戦記メタファイト?, which loosely translates to "Super Planetary War Records: Metafight") (also simply called Metafight or Meta Fight), which was released on June 17, 1988 (1988-06-17). The game was released in North America in November 1988 and in Europe on April 25, 1991 (1991-04-25). 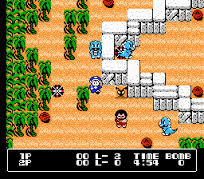 The game is the first in the Blaster Master series, and it spawned two spin-off titles as well as two sequels. The game features a character named Jason who follows his pet frog Fred down a hole in the earth. There he finds a tank and uses it to battle radioactive mutants. The player controls Jason and the tank SOPHIA THE 3RD through eight levels of gameplay to find the whereabouts of Fred and to defeat the mutants and their leader, the Plutonium Boss. The game was praised for its smooth play control and level designs, detailed and clean graphics, and music, and it was criticized for its high difficulty level and lack of passwords or save points. The game was novelized by Peter Lerangis, as part of the Worlds of Power series published by Scholastic Books. 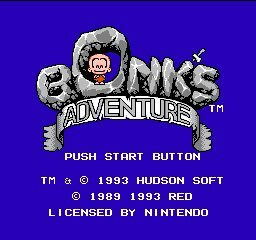 Bonk's Adventure is a 2D platform video game developed by Red Company and Atlus that was released in 1989-1990 for the TurboGrafx-16. In Japan it was released as PC Genjin (PC原人?) in 1989, a play on the Japanese name for the system, 'PC Engine'. The game was re-released for the TurboGrafx-16 in the U.S. in 1992 on the Gate of Thunder 4-in-1 game CD-ROM. 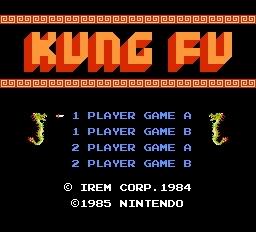 The game was later ported to the NES, Game Boy, Amiga, arcade systems under different titles (FC Genjin, GB Genjin and BC Genjin). It is also available through Nintendo's Virtual Console service, on the PlayStation Store and there is a version for mobile phones in Japan. Booby Kids (ブービーキッズ) is an action video game for the Nintendo Family Computer. 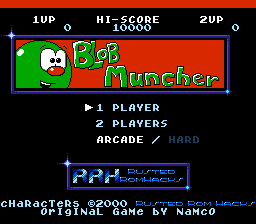 This video game is the home conversion of Nichibutsu's arcade game, Kid no Hore Hore Daisakusen (キッドのホレホレ大作戦), that was originally supposed to be named Booby Kids. 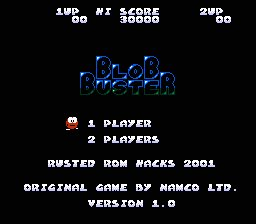 In 1993, Nichibutsu released for the Game Boy a similar game entitled Booby Boys. Boulder Dash (バルダーダッシュ, Barudā Dasshu? 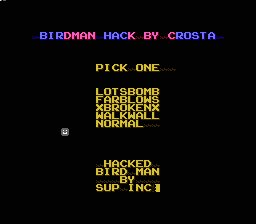 ), originally released in 1984 for Atari 8-bit computers, is a series of computer games released for the Apple II, MSX, ZX Spectrum, Commodore 64, and ColecoVision home computers, and later ported to the NES, BBC Micro and Acorn Electron, PC, Amstrad CPC, Amiga and many other platforms. It was created by Peter Liepa and Chris Gray, and on October 28, 1983, acquired and later published by First Star Software, which still[update] owns the rights to the game. 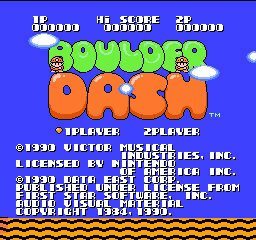 Boulder Dash inherits numerous gameplay similarities from the earlier 1982 arcade game The Pit, by Japanese developer Taito. 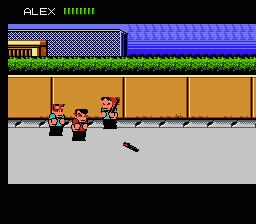 The game's protagonist is called "Rockford". He must dig through caves collecting gems and diamonds and reach the exit within a time limit, while avoiding various types of dangerous creatures as well as obstacles like falling rocks and the constant danger of being crushed or trapped by an avalanche, or killed by an underground explosion. 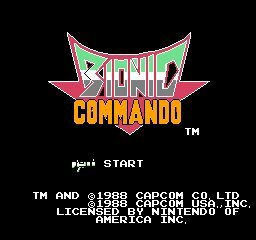 The Commodore 64 version of the first game was also re-released on the Virtual Console in Europe on September 19, 2008, and in North America on June 1, 2009, but was removed from the service in 2013. Bowser may refer to: Bowser (character), the main antagonist in the Mario franchise Bowser Jr., Bowser's son Bowser (surname) Bowser (tanker), a generic name for a tanker of various kinds A fuel dispenser (in Australian English), a machine at a filling station that is used to pump liquid fuel into vehicles Bowser, British Columbia, an unincorporated community on Vancouver Island Bowser and Blue, a musical duo from Quebec, Canada who write and perform comedic songs A fictional police officer named Bowser from the cartoon C.O.P.S. Bowser Manufacturing, a manufacturer of model railroad items Boomer and Bowser, one of the two mascots owned by the Indiana Pacers Jon Bauman (born 1947), singer formerly of Sha Na Na who goes by the stage name of "Bowzer" Muriel Bowser (born 1972), the Democratic nominee for the 2014 mayoral election in Washington, D.C.